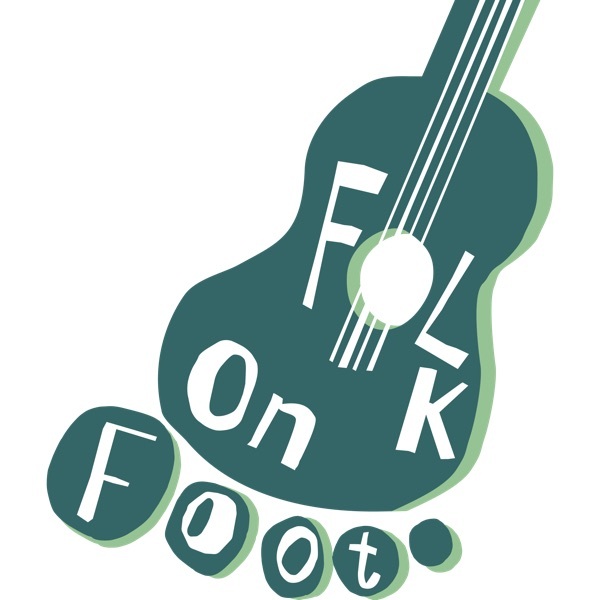 Folk on Foot | Listen Free on Castbox. Six unique performances of complete songs by all the artists featured in season 2: Seth Lakeman: Kitty JayKerry Andrew/You Are Wolf: As Sylvie Was WalkingJon Boden: Dancing In The FactoryStick In The Wheel: All The ThingsFisherman’s Friends: First And LastJulie Fowlis: Biodh an Deach Sea’n Laimh Mo Ruin (The Drink Would Be In My Love’s Hand) Enjoy! The Gaelic singer Julie Fowlis takes Matthew Bannister for a snowy walk on the dramatic shores of Loch Ness near her home in the Scottish Highlands. 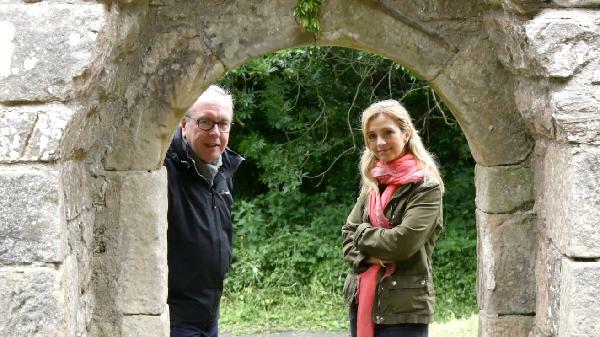 Accompanied by her husband Eamon Doorley, we hear Julie’s beautiful clear voice singing a song linked to the area and a love song that brought the couple together for the first time. As they head to the spectacular Foyers Falls, Julie explains that understanding the Gaelic language is the best way to form a true connection with the landscape. A red deer and a group of ducks are charmed by Julie’s singing. Stick in the Wheel’s music has been described as “precision folk with anger, lust and blood.” The band’s founders Nicola Kearey and Ian Carter take Matthew Bannister for a walk through their East London stomping grounds, starting in a Victorian weaver’s house in Spitalfields, taking in Walthamstow Market and ending up in Epping Forest where they’re joined by fiddle player Ellie Wilson. Along the way they sing songs that reflect the chequered history of the East End of London and it’s more recent past. Kerry Andrew has been described by Robert Macfarlane as “a writer and musician of frankly alarming talent”. She is a composer, novelist and vocalist who performs alt folk under the name You Are Wolf. In this episode she takes Matthew for a walk from her flat in South London, through surprisingly green parkland, to the historic Brockwell Lido where she persuades him to take a dip. Along the way she demonstrates her multi layered vocal technique and sings songs from her albums “Hawk to the Hunting Gone” and “Keld” (fRoots Magazine editor’s choice album of the year 2018). Seth Lakeman is the Mercury Music Prize nominated singer, fiddle player and guitarist who will forever be associated with Dartmoor. He grew up in the village of Buckland Monachorum with his two brothers Sean and Sam who are also key players on the folk scene. In this episode Seth takes Matthew to the village church to re-create his 2004 recording "Cape Clear", to the local school to sing “An Educated Man” and to the hills above the Burrator Reservoir where he performs “Kitty Jay”, “The White Hare” and “The Courier”. Along the way he reflects on sibling rivalry, the myths and legends of Dartmoor and his experiences of touring the world with the former Led Zeppelin singer Robert Plant. The former Bellowhead lead singer and winner of eleven Radio 2 Folk Awards takes Matthew on a walk near his home in the Loxley Valley on the outskirts of Sheffield. This landscape inspired his 2009 album “Songs from the Floodplain”, which creates a vision of a post apocalyptic future when industrial architecture is decaying and people are returning to a more rural way of life. As they walk down the valley, Jon sings “Going Down to the Wasteland”; by a whirlpool in the River Loxley, he performs "April Queen." Next we visit a disused brick factory - where empty kilns and rusting girders are being overwhelmed by trees and weeds - the perfect setting for “Dancing In The Factory”. Finally Jon and Matthew clamber up onto a disused World War Two anti aircraft gun emplacement and Jon sings “Aubade” from his latest solo album “Afterglow”. 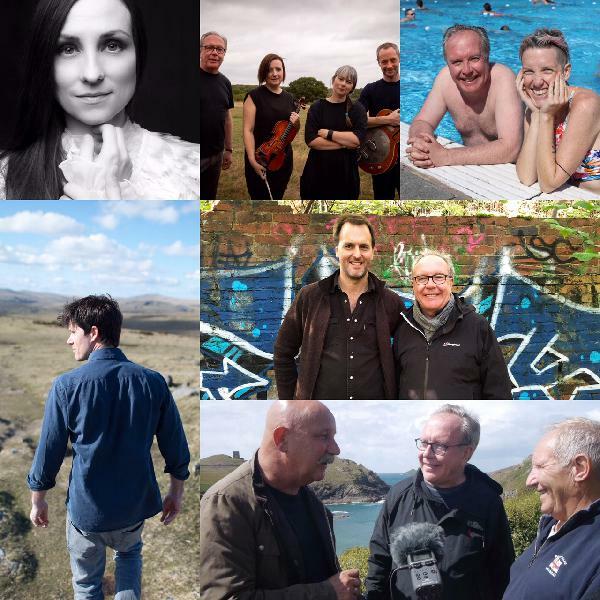 Six complete songs recorded on location for Season 1 of Folk on Foot: Eliza Carthy and Family: “Some Old Salty” Steve Knightley: “The Dive” Cara Dillon and Sam Lakeman: “The Leaving Song”The Young’uns: “The Hartlepool Pedlar”Sam Lee: “The Birds in the Spring”Karine Polwart: “The Lark In The Clear Air”. You’ll also hear Matthew talking about the future of Folk on Foot and appealing for more people to become patrons of the podcast. The multi award winning singer Cara Dillon comes from the small town of Dungiven in Northern Ireland. It is a place steeped in myth and legend with a powerful musical tradition. As Cara and her husband and musical collaborator Sam Lakeman take Matthew on a walk through the countryside around the town, she tells stories of a lost princess and a powerful chieftain and his tiny but tough Scottish bodyguards. She also introduces Matthew to the local well which is reputed to be able to cure warts. Standing on an iron bridge over the River Roe, Cara sings “The Winding River Roe” with the water rippling by in the background. Then they climb the local mountain known as “The Hill of Thieves” which is also the inspiration for one of Cara’s songs. As the rain begins to fall, they take refuge in a local sibin where Cara and Sam perform “The Leaving Song” about the living wakes held by families before their children emigrated to the United States. A wonderful podcast that paints images of beautiful landscapes in the mind along with some sumptuous music performances.